London’s British Museum will keep a precious artifact taken illegally from Syria until the civil war in the country is over, the outgoing director has said. Neil MacGregor said the museum is trying to safeguard antiquities stolen from war zones. MacGregor, who is stepping down as museum director at the end of 2015, called on the British government to sign an international convention to protect cultural artifacts. However, the British Museum itself has come under fire in recent years for its continued refusal to return the world-famous Elgin Marbles to Greece. The widespread destruction of ancient cultural artifacts in the Middle East by Islamic State (formerly ISIS/ISIL) has prompted outcry across the world. The group reportedly bulldozed the ancient city of Numrud in Iraq in March, destroying an archeological site dating back more than 3,000 years. ISIS claimed the monuments were idolatrous, because they were once worshipped instead of Allah. Syria became a focal point for archaeological preservation this month when ISIS began marching on the ancient city of Palmyra, a UNESCO World Heritage Site. A group of Syrian archeologists, academics and locals rushed to hide museum pieces in the days before the city fell to ISIS on May 21. Dubbed Syria’s “Monuments Men” in reference to the soldiers and academics who saved European art from the Nazis during the Second World War, the volunteers reportedly risked their lives to catalogue and bury precious artifacts. “The question of whether we should help with the conservation and preservation of another country's heritage is serious,” MacGregor said. The British Museum has faced criticism in recent years for its refusal to return a collection of stone objects to Greece known as the Elgin Marbles. The assortment of sculptures, inscriptions and architectural features were acquired by Lord Elgin in the early 19th century. Elgin claimed to have permission from the Ottoman Empire, which ruled Greece at that time. The Greek government wants to return the marbles to their original historical environment. 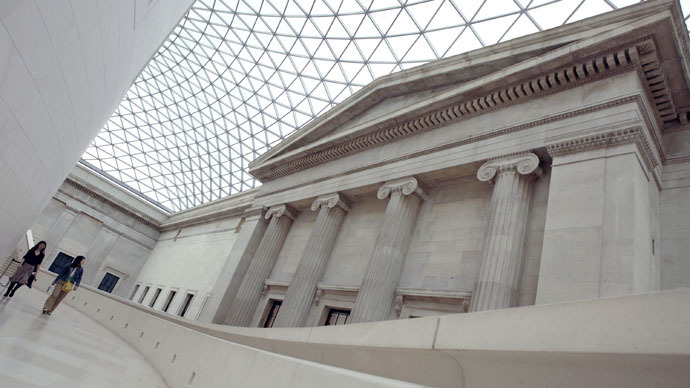 However the British Museum has rejected Greece’s appeals, claiming that if the Elgin Marbles were returned it would open the door to similar applications from other countries.